Highlands at Breckenridge – Braddock Hill are luxury homes for sale in Breckenridge CO Real Estate. The land and homes in the Highlands at Breckenridge – Braddock Hill subdivision can be found on Highfield Trail just past Highland Greens. With a total of 34 lots, 2 are open space, 8 are vacant residential lots and 24 have homes on them. The lots are larger than most in the Highlands at Breckenridge ranging in size from 1.01 – 1.95 acres. Located in the Town of Breckenridge subjects all home and lots sales to the 1% transfer tax. Owning Breckenridge Real Estate in the town limits gives owners discounts at the Breckenridge Golf Club, Recreation Center and the Ice Rink. There are many different filings and areas of the Highlands at Breckenridge. 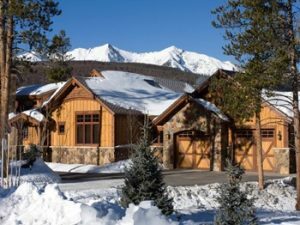 For a completel list of Breckenridge Highlands homes or land for sale in the Highlands, contact Justin and Krystal Knott with LIV Sotheby’s International Realty. We can run a custom search based on your specific wants and needs for a property in the Highlands or all Summit County Real Estate. Call us today at 970.333.9050 or 970.333.0116 or search below by price or location on our new mapping feature.